1. (verb) (-tia) to act in a threatening manner, be defiant, threaten. E tū kanohi wananga tonu atu ana ia ki te hoariri, e mau mai ana tana pū tame i tana hope ka patua nei ia (TTR 2000:128). / He was on his feet defiantly facing the enemy with his tommy gun at his hip when he was killed. 2. (noun) threatening, defiant words and behaviour. 1. (verb) (-hia,-tia) to meet and discuss, deliberate, consider. Nā te rūnanga i Pēria i whakahaere te kāwanatanga o te rohe, me te whakawā ina te wānangatia ki roto i te whare rūnanga (TTR 1990:321). / The council at Pēria provided local government and also dispensed justice, after discussion in the meeting house. 2. (noun) seminar, conference, forum, educational seminar. Ka whakawāteatia atu e ia tōna marae mō ngā wānanga me ngā huihuinga mātauranga (TTR 2000:118). / He offered his marae for educational seminars and gatherings. 3. (noun) tribal knowledge, lore, learning - important traditional cultural, religious, historical, genealogical and philosophical knowledge. Kete tuauri, kete tuatea, kete aronui: Ko ngā kete o te wānanga i tīkina e Tāne i a Io-matua (M 2006:12). / Kit of sacred knowledge, kit of ancestral knowledge, kit of life's knowledge. These are the kits of knowledge that Tāne fetched from Io the-parent (M 2006:15). 4. (noun) instructor, wise person, sage, authority, expert, guru, philosopher, savant. Kīhai i tae ki ngā pūkenga, ki ngā wānanga, ki ngā tauira (W 1971:479). / It did not reach the repositories of knowledge, the wise people and the skilled people. 5. (noun) tertiary institution that caters for Māori learning needs - established under the Education Act 1990. Ko te Wānanga o Raukawa kua tū hei whare wānanga mō te rangatahi Māori (Te Ara 2013). / Te Wānanga o Raukawa which has been established as a tribal centre of higher learning for young Māori. 1. (noun) sacred rituals on scientific orders, history and other valuable lore, sacred knowledge. 1. (noun) university, place of higher learning - traditionally, places where tohunga taught the sons of rangatira their people's knowledge of history, genealogy and religious practices. Ā, i ēnei rā ka tū ngā kura reo ki ngā kuratini, ki ngā whare wānanga ko te iwi kāinga o taua rohe ngā kaiwhakahaere (HM 4/2008:1). / And these days language learning gatherings are held in polytehnics and universities and the local people of that area are the organisers. 1. (location) an iwi-controlled tertiary provider based in Whakatāne. 1. (location) an iwi-controlled tertiary provider based in Ōtaki. 1. (location) Department of Māori Studies (University of Auckland). 1. (noun) baskets of knowledge - these are the three baskets of knowledge obtained for mankind by the god Tāne, known primarily as the god of the forests and all that dwells within them. To acquire the baskets of knowledge, Tāne had to ascend to the twelfth heaven, to Te Toi-o-ngā-rangi, and there be ushered into the presence of the Supreme God, of Io-matua-kore himself, to make his request. The request was granted and hence the knowledge we now have in our possession and at our disposal. Tāne had to reconnoitre and negotiate eleven other heavens before ascending to the twelfth and there receive the knowledge he sought. The three baskets of knowledge are usually called te kete tuauri, te kete tuatea and te kete aronui. 1. (location) Christchurch Polytechnic Institute of Technology. 1. (location) University of Canterbury. 1. 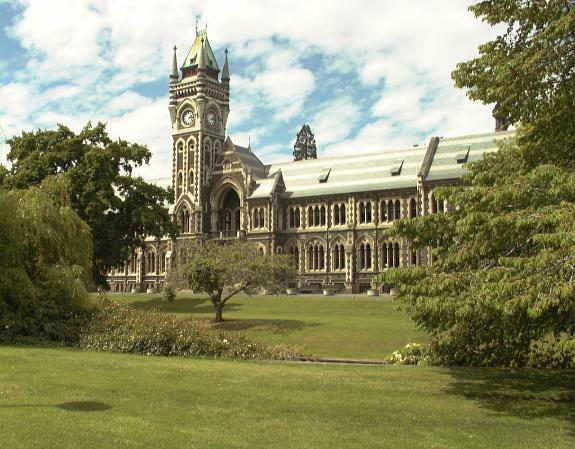 (location) University of Otago. Ka hoki anō a Erihana ki te Whare Wānanga o Ōtākou i te tau 1925 ki te whai i te mātauranga o runga atu e pā ana ki ngā rongoā o ngā whenua pārūrū (TTR 1998:39). / In 1925 Ellison returned to Otago University to undertake postgraduate studies in tropical medicine. 1. (location) The University of Waikato. 1. Unitec Institute of Technology. 1. (noun) School of Māori and Pacific Development (The University of Waikato). 1. (location) University of Auckland. 1. (location) Wellington Institute of Technology. 1. (location) Auckland University of Technology, AUT University. 1. (personal noun) New Zealand Universities Academic Audit Unit.